Around age four, Julien Libeer (Belgium, 1987) discovered Leonard Bernstein conducting West Side Story. Is it possible to see Bernstein at work and not believe that making music is the greatest thing on earth? His next big influence was the pianist Dinu Lipatti; also someone radiating musical truth. Lipatti proved formative for the direction in which Julien wanted to work, as he consciously avoided engaging in piano competitions. For five unforgettable years, French-Polish pedagogue Jean Fassina was the mentor for Julien’s pianistic and musical foundation. An additional five years, Maria João Pires taught Julien by example, and by taking him on the road to perform with her. Ultimately, he learned that your most important asset, on stage and in life, is your freedom. Julien Libeer was presented with the Juventus Award 2008 for being the most promising young European soloist, and was named Young Musician of the Year by the Belgian Music Press Association in 2010. His work has been subject of the documentaries Technique doesn’t exist (2013) and Jeunes Solistes, Grands Destins (2017). Julien’s recordings have been well-received by the international press, receiving awards such as the Diapason d’Or de l’Année 2016, Klara Award 2016 and Echo Preis 2017. As a soloist, Julien has had the pleasure of collaborating with orchestras such as Brussels Philharmonic, Belgian National Orchestra, Antwerp Symphony Orchestra, Deutsche Kammerphilharmonie Bremen, Sinfonia Varsovia and New Japan Philharmonic; with conductors such as Trevor Pinnock, Michel Tabachnik, Augustin Dumay, Hervé Niquet, Serge Pehlevanian, Joshua Weilerstein, Enrique Mazzola and Christopher Warren-Green. The instrument allows Libeer to be expansive, brisk and brilliant as required, without ever threatening to overwhelm his partner. This is deeply unshowy Beethoven but it’s intensely sincere and it sounds entirely new. Try it. Distinguished chamber music partners in recent times are Augustin Dumay, Camille Thomas, Frank Braley and Maria João Pires. Julien Libeer is currently performing and recording Beethoven’s complete sonatas for violin and piano with Lorenzo Gatto. Julien Libeer is Artist in Residence at Flagey Brussels and enjoys regular invites from Palais des Beaux-Arts (Brussels), Théâtre de la Ville and Salle Cortot (Paris), Barbican Hall (London), Concertgebouw Bruges and Concertgebouw Amsterdam. His travels have taken him to Spain (Auditorio Nacional Madrid, Palau de la Musica Barcelona), Japan (Sumida Tryphony Hall Tokyo), Lebanon (Beirut Chants festival) and the USA (Miami International Piano Festival). Libeer’s teachers and mentors have included Daniel Blumenthal (Royal Conservatory of Brussels), Jean Fassina (Paris), Maria João Pires, Jura Margulis, Nelson Delle-Vigne, members of the Artemis Quartet, Dmitry Bashkirov, Alfred Brendel, Abdel Rahman El Bacha and Gerhard Schulz (Alban Berg Quartet). Julien is driven to initiate or collaborate in projects which are rooted in the idea that music, far beyond its esthetic value, can be a force of change for anyone willing to listen. Amongst these projects was Julien hosting a Belgian TV series, that made a case for musical storytelling. Enthusiasm about music is contagious and informative. With this in mind, the Bruges Concertgebouw and Julien started a series called Salon Libeer, in which he joins a fellow musician and a speaker (e.g. philosopher, historian, author). By exploring a particular theme, the discussion strives to enhance the audience’s musical experience. With the project Singing Molenbeek, high level choir rehearsals are organised in the primary schools of a Brussels suburb famous for all kinds of wrong reasons. As artistic director and pianist, it is Julien’s hope that introducing these children to music, with all its demands and rewards, will help them personally and socially. Download the official biography or download the press kit. Keeping the news updated on my Facebook page. Have a look! 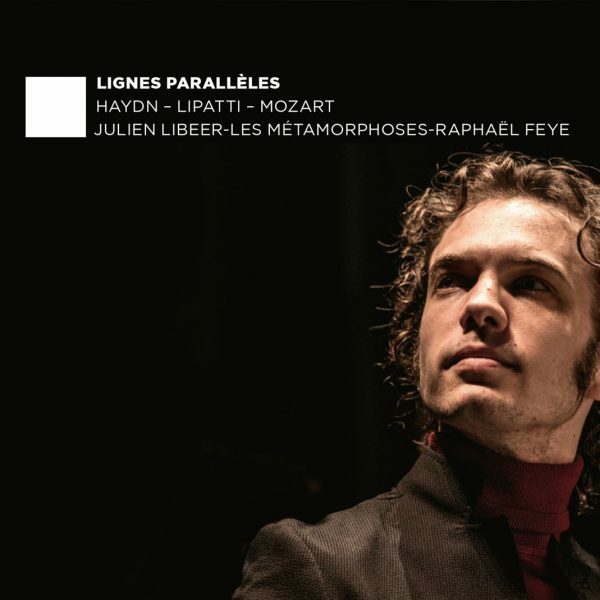 On his debut album, Libeer lays bare the luminous lines in the music of his favourite composers, exploring the reticent sensibility in music by Ravel, and the haunting hypnotism and delicate understatement of music by Dinu Lipatti. 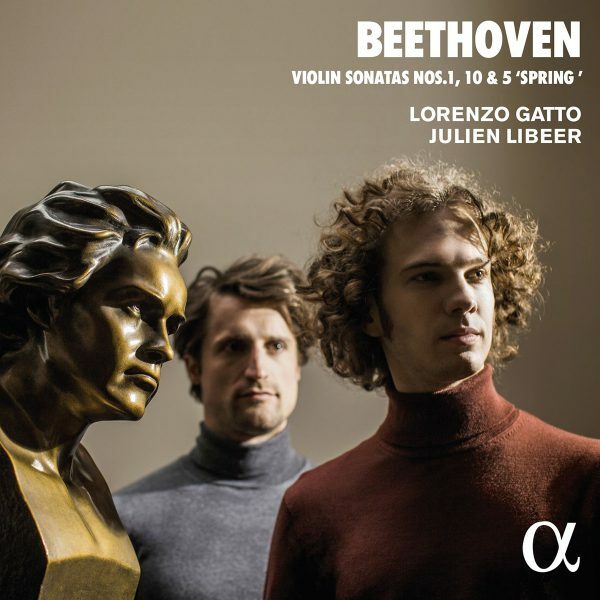 Building on the success of their first disc of Beethoven violin sonatas, which won a Diapason d’Or of the Year and ‘Choc’ de Classica, Lorenzo Gatto and Julien Libeer continue their recording of the cycle. ‘A stunning, transcendent reading’ — The Arts Desk. Live recording at the Music Chapel Gala of Schubert’s masterpiece for four hands. 28 January 2014, Brussels, Palais des Beaux-Arts. 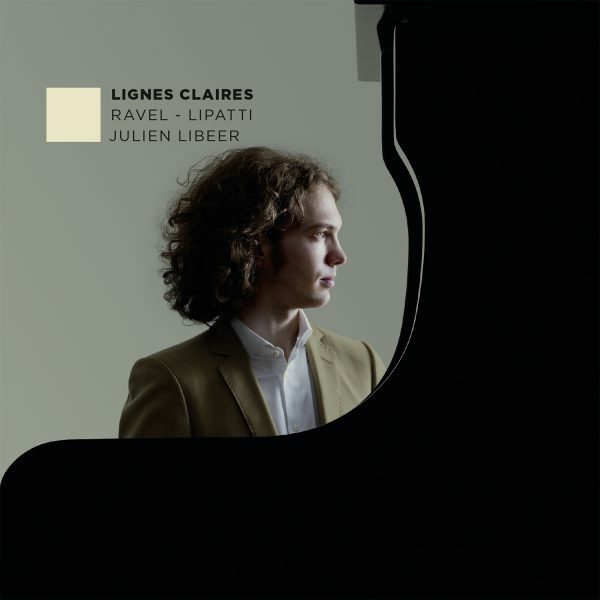 Performed by Julien Libeer on the Chris Maene Straight Strung Concert Grand. Camille Thomas, cello & Julien Libeer, piano. Recorded at the Conservatoire à Rayonnement Régional de Reims (France), July 4, 2016.